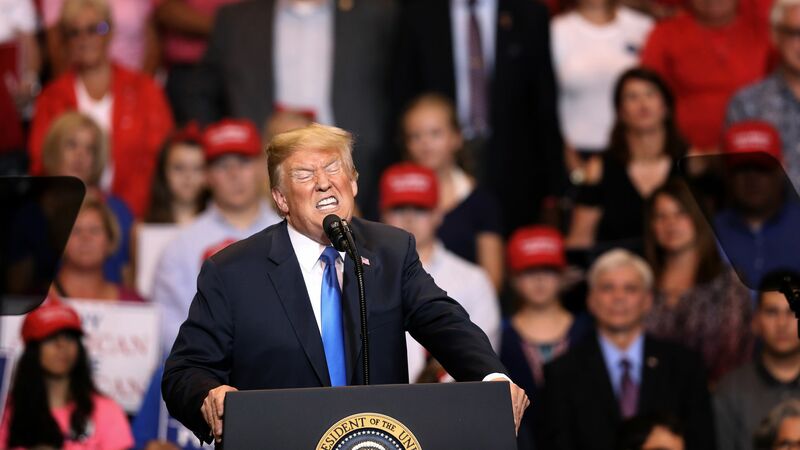 The United Nations Human Rights Office has announced its condemnation of President Trump's ongoing derogatory remarks toward the press with experts saying the attacks "run counter to the country’s obligations to respect press freedom and international human rights law." Timing: The announcement came the same day Ivanka Trump broke with her father at an Axios event explaining she does not believe the media is the "enemy of the people," and White House Press Secretary Sarah Sanders refused to stand up for the press at Thursday's briefing. Why it matters: Trump has repeatedly gone after the "fake news media," calling the press "the enemy of the people," "very dishonest" or "fake news," and accusing them of "distorting democracy," "conspiracy theories and blind hatred," as the UN points out. Quote"His attacks are strategic, designed to undermine confidence in reporting and raise doubts about verifiable facts." Trump sought to explain away his daughter's remark, tweeting, "They asked my daughter Ivanka whether or not the media is the enemy of the people. She correctly said no. It is the FAKE NEWS, which is a large percentage of the media, that is the enemy of the people!"